Why flipped classroom model is becoming popular. Basically stated, the flipped classroom model is simple, does not contain intricate details and hence can be used by any person with a fundamental understanding of how to use computer and record videos. What exactly is a flipped classroom model? It is an interesting system of processes, a system that encompasses the use of internet in order to teach and learn. Flipped classrooms are providing the educators with the opportunity to utilize their time in the classroom and with their children more productively. This method is highly interactive and offers an incredible ease for both teachers and students to work on new and different concepts thoroughly. It is called flipped classroom because it is the flip side or the opposite side of traditional ways of learning in schools. Kids listen to lectures at home via their teachers’ prerecorded videos and then come to school to further enhance their understanding on the subject with more activities. The rough concept of homework has been replaced by lively discussions and solving problems, finding solutions and performing experiments at school with other peers in the class. 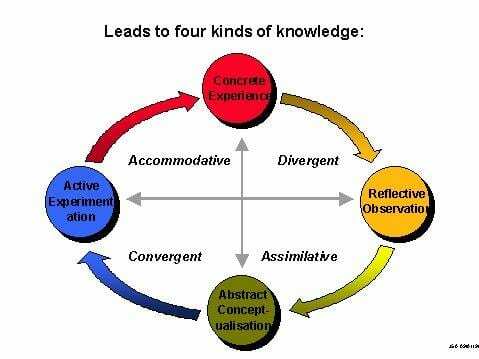 Flipped classroom model is basically a cycle of learning which consists of a sequence of learning tasks derived from the learning theories and instructional models of Experiential Learning Cycles. It is highly significant for teachers or the educators to understand the nature of the flipped classroom model before they jump into this field. It is indeed the fundamental step towards reframing teacher’s job in the classroom. • In their recorded lecture, what contents are to be focused on most that would be more helpful when the student will come to the class and apply the concept. • The videos have to be interesting and engaging so that students of all levels and understanding enjoy this part of initial learning of the new concept. • You should also get aware of what technology you would need to assist you to apply flipped classroom learning method. • The next step after watching a video is of reflection. Students should be given an opportunity to reflect over the concept they watched a video on. They should get familiar with things like, how it is helpful, relevant and to what extent practical. • Teachers should also be very cautious about one more thing which is the duration of the each video. It should be short and precise which would make it easier for students to digest the idea quickly.